In the field of catastrophic injury law, we are often confronted with the question, “What makes an injury catastrophic?” This seems like a reasonable thing to ask, especially since the term “catastrophic injury” can occur in a variety of contexts, from truck and auto accidents, to work place injuries, to prime time television. The reality is that I can only provide you with a working definition that is widely used by fellow lawyers and also in the medical community. There is no statute or case law that really buttons down what a catastrophic injury is simply because it can take so many shapes. The way that I or another catastrophic injury lawyer would describe a catastrophic injury is one where the consequences of the injury permanently prevent an individual from performing any gainful work. In other words, after suffering a catastrophic injury, the victim can no longer maintain a job that allows them to support themselves or their family. Catastrophic injuries are the devastating injuries. They are the injuries where the medical staff would be very concerned about the recovery of the person’s former way of life, and often times, these are the ones where the attending physicians call in the family for fear the victim is going to pass away. As a result, the victim will lose the remaining life of wages and benefits that they would have had but for the accident, as well as the sense of purpose that comes with a hard day’s work. The implications of these injuries often go far beyond the victim’s work life as well. A person who is too severely disabled to work will rarely be able to travel, exercise, engage in favorite hobbies or activities, or even care for themselves on a day-to-day basis in the way that a typical healthy person would. They may also suffer from anxiety, depression, and other mental health issues that create emotional anguish in addition to the physical pain and suffering that inevitably come with a devastating and disabling injury. Because of the far-reaching implications for the lives of victims and the enormous losses that result from catastrophic injuries, the ensuing claims and lawsuit involve higher damages simply because in a catastrophic injury case, the damages ARE higher. In many catastrophic injury cases, medical bills alone can be hundreds of thousands of dollars, if not more. These victims also have a loss of employment income, meaning they are losing their previous income, likely for the rest of their lives. That also could be hundreds of thousands and even millions of dollars depending on the age and type of employment the person engaged in prior to the accident. That all doesn’t even take into account the pain and suffering that the accident caused. Months and months of rehab and hospital stays. Time away from family. Loss of ability to care and provide for their spouse and children. The mental anguish involved in realizing they are no longer the person that they were moments before the accident. That life is over. They have a new life that is full of new stresses that before wouldn’t have been an issue. Things like going to the bathroom by yourself. Feeding yourself. 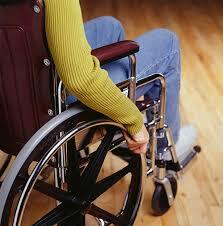 Those things may not be possible anymore after a catastrophic injury. A loss of self-reliance is a huge blow to a person’s psyche. In fact, one unfailing truth we can share from the world of catastrophic injury law is that every victim would gladly trade any amount of money to gain back the normal life they lived before their injury. But that is not a negotiating piece on the table. I cannot get their old life back for them. What I can do is provide the only type of justice the law provides and that comes in the form of a monetary award. Guest and Gray, P.C. is dedicated to helping severely injured victims obtain the recovery they need and deserve from the at-fault party and their insurance company. Whether it be an auto accident claim or big truck, we know how to fully enforce your rights to obtain maximum results. Our experienced personal injury attorneys are available to evaluate your case for FREE today! When you hire Guest and Gray, P.C. to handle your catastrophic injury matter, you pay NOTHING unless YOU recover. Period. Our principal office is located in the heart of downtown Forney, Texas. We also have offices in Rockwall and Dallas. We offer free in home consultations for our clients who are unable to travel and you will meet with a licensed attorney, not some recruiter like those other guys do. Our law firm services all North Texas counties, from Dallas to Tarrant, Denton to Van Zandt and all through East Texas. Wherever an injured party needs us, we will be there! CALL NOW (972) 564-4644. Assistants are standing by to take your call!